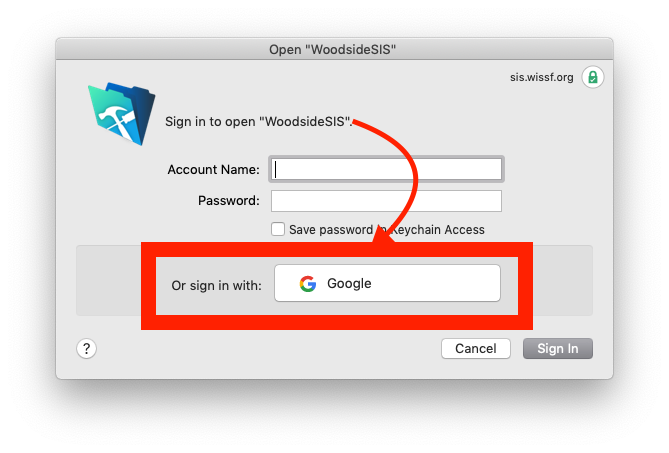 Woodside International School now allows faculty and staff to log in to the Student Information System using their existing Gsuite login credentials. This means one less account and password to keep track of! It also means you can add 2-factor authentication to your Google account and it will additionally secure your login to the database. The Google login option applies to on- and off-campus logins and works with the FMP app, a web browser, and the iPhone/iPad app. Google requires a Terms of Service statement on our website regarding the oAuth technology that facilitates this linkage between your GSuite account and the Filemaker Student Information System. That statement is found below. 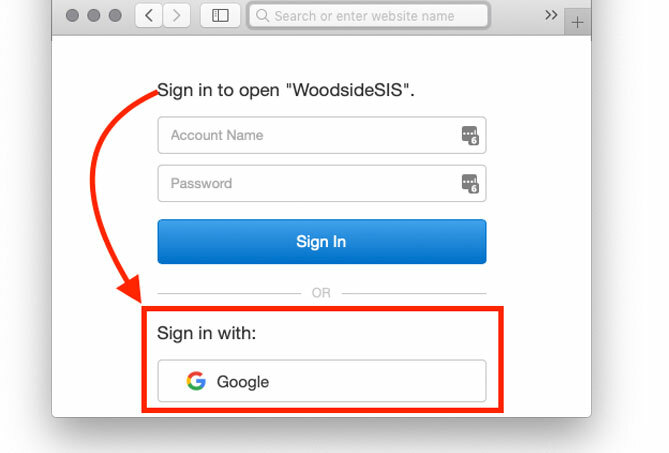 Woodside International School offers OAuth services to you subject to the terms and conditions here and incorporated by reference into these Additional Terms. For clarity, OAuth Services are part of the Woodside International School’s network of IT services as defined elsewhere. Your use of the OAuth Services constitutes acceptance of, and is subject to, these Additional Terms and Universal Terms of Service. We assume no responsibility and shall not be liable for any damages whatsoever in connection with your use of OpenID and/or OAuth on any third party sites, products, services, platforms, or applications. We make no representations or warranties as to any possible acts or omissions of such third parties that accept or support OpenID or OAuth. Please note that any termination or cancellation of your account will also disable your OpenID and your ability to access any third party relying site with your account as well as any further third party access to your information using OAuth. By using your account as an OpenID or by permitting third party access to your information using OAuth, you hereby forever release and hold harmless Woodside International School and its related entities, officers, directors, employees, agents, successors and assigns from and against any damages, harm, claims, expenses or other liability in connection with your use of OpenID or OAuth with third party sites, products, services, platforms, or applications, even if advised of the possibility of such liability. To the maximum extent permitted by applicable law, you hereby release and waive all claims (known and unknown) against Woodside International School, and its subsidiaries, affiliates, officers, agents, licensors, co-branders or other partners, and employees from any and all liability for claims, damages (actual and/or consequential), costs and expenses (including litigation costs and attorneys’ fees) of every kind and nature, arising from or in any way related to your use of the OpenID and OAuth Services. You understand that any fact relating to any matter covered by this release may be found to be other than now believed to be true and you accept and assume the risk of such possible differences in fact. In addition, you expressly waive and relinquish any and all rights and benefits which you may have under any other state or federal statute or common law principle of similar effect, to the fullest extent permitted by law. These Additional Terms may be updated by Woodside International School from time to time without individual notice to you. Your acknowledgment and consent to these Additional Terms will mean that you have accepted the preceding disclaimer and any subsequent modifications.